How Impact changed Prema's Life? Prema, was born with a Cleft Lip much to her parents’ disappointment. As she grew, Prema’s teeth began to show, disfiguring her mouth. This caused her much shame and embarrassment and that is why she often stayed at home to avoid comments. Prema became a recluse shunning events and the outdoors. Prema’s parents were anxious about her future and despaired at finding any relief. One day the Lifeline Express (LLE) came to her village and Prema’s parents learnt that Cleft surgeries were conducted on the LLE free of cost. With hope in their hearts Prema was taken to the hospital train and registered for surgery. 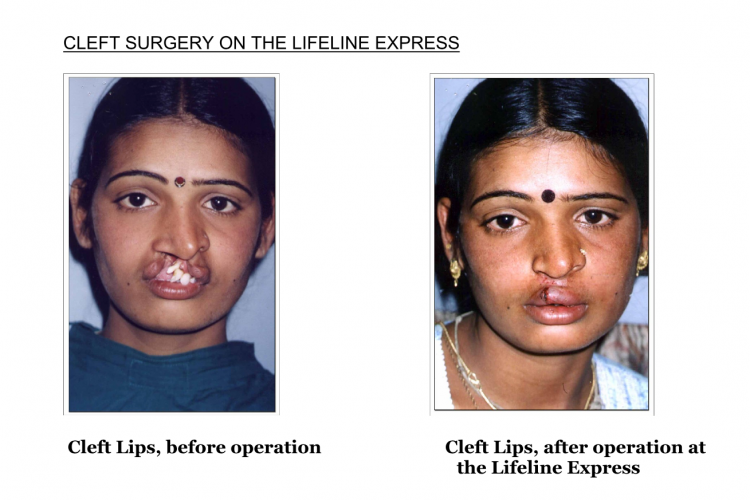 Prema’s beautiful face was restored free of cost. She re-discovered life as she stepped out to take her place in the sun. The Lifeline Express has touched over a million lives of the rural poor, transforming their destinies forever. "Groundwork of all happiness is good Health"
Impact India Foundation (IIF) appeals for the support of a new Generator set for our seven-coach Lifeline Express (LLE) Hospital train. A new machine with 320 KVA capacity is required to replace the existing one of 200 KVA capacity which is almost 10 years old. The replacement has become essential with the addition of two coaches donated by the Indian Railways, to augment the services of the LLE to include Oral, Breast and Cervical Cancer, as well as, Family Planning, from December 2016 onwards. The increase in power consumption of the seven-coach LLE cannot be borne by the existing 200 KVA machine, particularly since projects are held in remote locations across India. The LLE’s electricity requirement is of huge quantity which is difficult to acquire in the field. Therefore, IIF has to depend on Diesel Generator sets for day-to-day operations. For i shall now pass this way again"
We request you to be a part of this act of kindness by contributing to power the Train of Hope- The Lifeline Express , that brings state of the art healthcare facilities to the rural poor . You could also help spread the word by sharing the campaign page on Facebook, Twitter, LinkedIn, email, and come forward to offer support . Your share could be as good as a donation for Impact India Foundation!